Rhino awareness month may be over, but the ongoing support and awareness for these magnificent creatures will continue for the next few years. 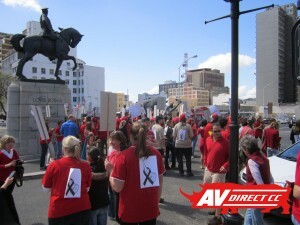 A strong initiative took place in Cape Town as activists and anti-poaching committee’s took to the streets to protest against the violent poaching of our beloved rhinos. 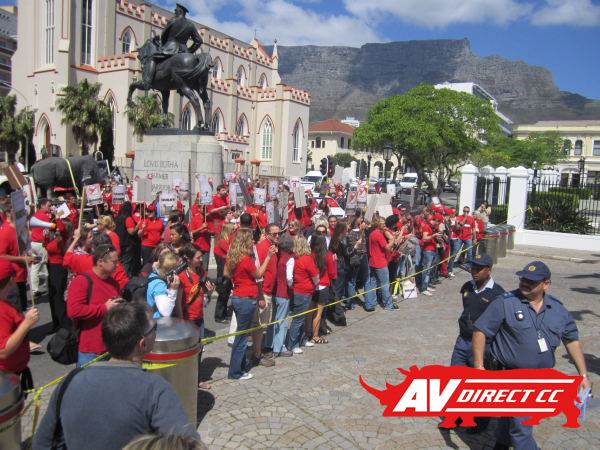 People from all walks of life gathered together outside parliament to demonstrate against the cruelty shown to these animals. Over a thousand feet marched together as one with banners high, filling the streets with colour, hope and protest. 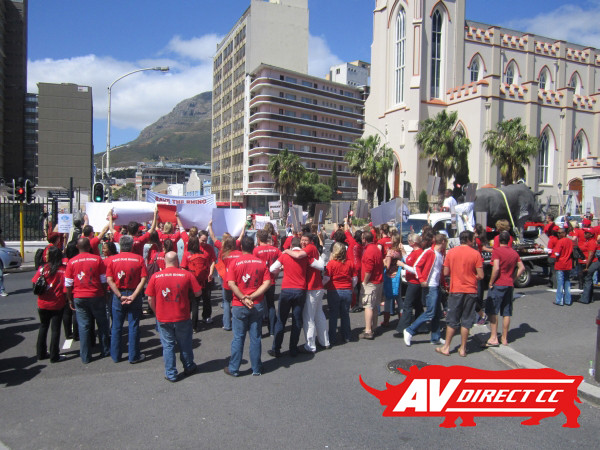 AV Direct was proud to assist by sponsoring loudspeakers and microphones for this march. 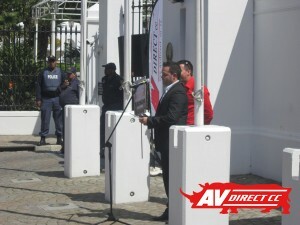 Passionate about this cause we setup outside parliament with generators, banners and equipment so that voices could be heard and feelings brought across.